JULY 30, 2014 – U.S. Acting Surgeon General Boris Lushniak — a dermatologist whose first action as acting surgeon general was the creation of a report vilifying UV exposure — admitted Tuesday that UV exposure may not be what’s driving an increase in reported skin cancer incidence. The Washington Post, in an exclusive interview Tuesday, asked Lushniak why the report singles out UV exposure — an odd singularity considering the largest reported increase in skin cancer, by far, is in men over age 50 who seldom tan. The Acting Surgeon General’s 112-page report — produced in conjunction with prominent lobbyists from groups who accept funding directly from the sunscreen industry and are actively lobbying against UV — does not mention that among all the risk factors for melanoma, UV exposure is considered the least-prolific — instead pointing out that it is the main “avoidable” risk factor. 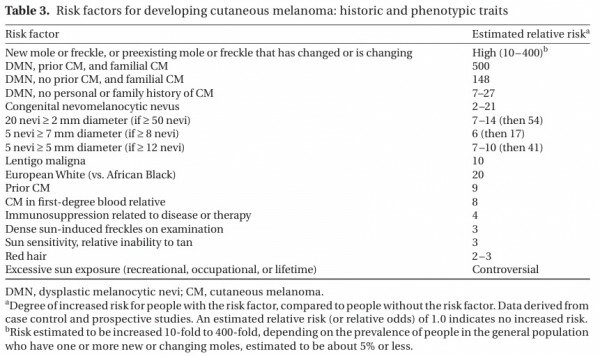 Melanoma researcher Dr. Arthur Rhodes — in a report in the journal Dermatologic Therapy, wrote that overblown sun-avoidance messaging is actually preventing people from learning about the largest risk factors for the disease. “Unfortunately, as a result of public messages that emphasize the role of ultraviolet radiation (UVR) exposure in tumor development, most general physicians and lay people believe that most if not all cases of CM are the direct result of UVR exposure. In fact, we do not know the case fraction of CM directly attributable to UVR, and the unintended consequences of current messages directly linking UVR exposure and CM development may be thwarting the primary intervention goal of reducing tumor-related mortality,” Rhodes wrote. Sun exposure is natural and intended and humans get less today than at any point in human history. That’s why indoor tanning sunbeds were first developed in sunlight-deprived northern European countries. In North America, tanning is primarily a cosmetic business, but millions of customers visit sunbed salons because indoor lifestyles deny them regular sunlight. Saying that UV exposure causes skin cancer and therefore should be avoided is as misleading as saying that water causes drowning and therefore water should be avoided: It is an inaccurate oversimplification of a complex relationship. Like all living things, humans need UV light to live. The North American tanning community teaches clients a balanced message of moderation and sunburn prevention — properly educating clients about the potential risks of overexposure to sunlight. Special $129 Rate for Nashville Ends Today!